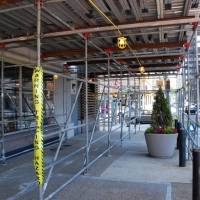 Superior Scaffold has the fastest response time in the industry. 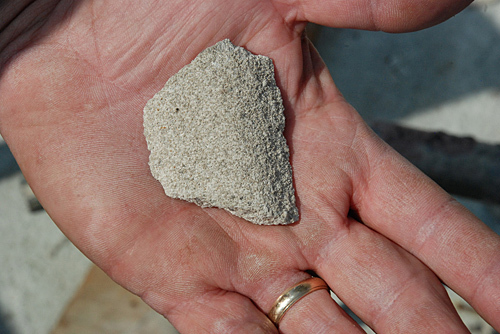 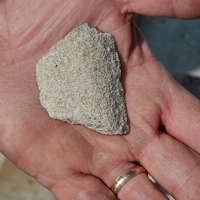 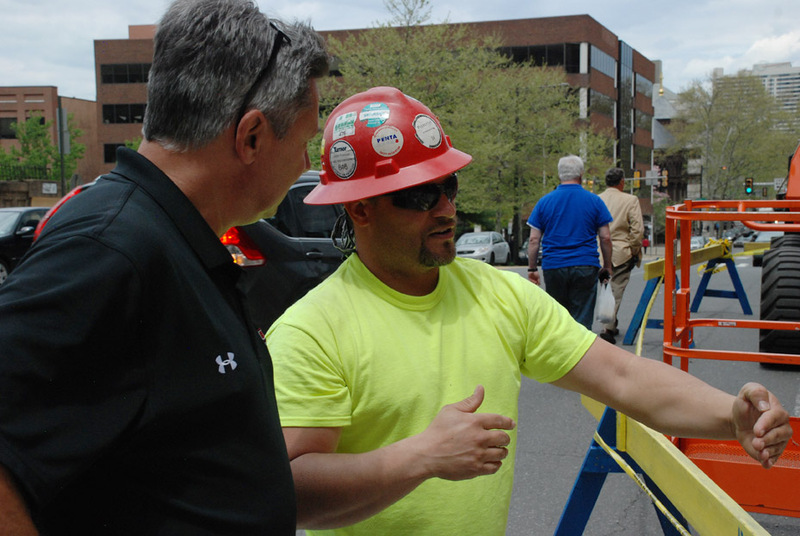 will have crews on-site within 24 hours, and in most times, the problem solved and a solution in place. 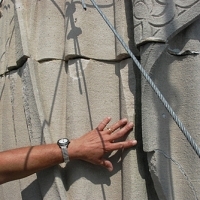 Here are some satisfied clients. 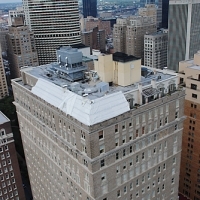 To this…IN LESS THAN 12 Hours! 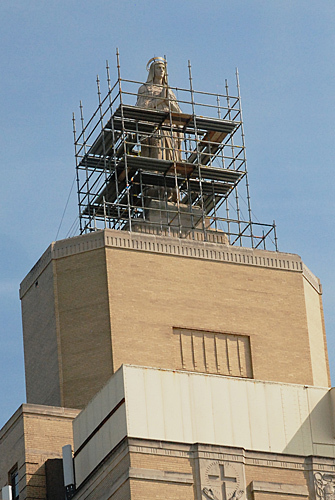 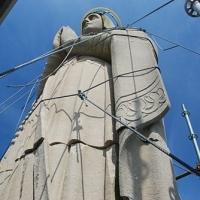 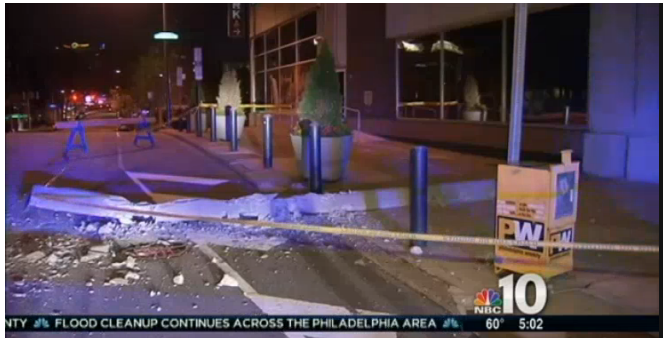 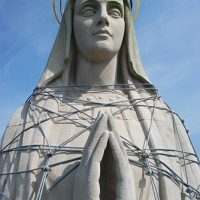 An earthquake of a 5.8 magnitude caused the iconic statue of the Virgin Mary to shift and crack on top of Our Lady of Lourdes Medical Center in Camden, NJ. 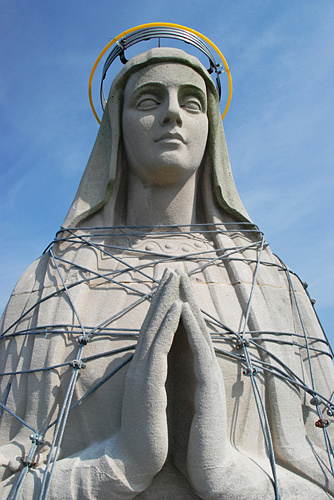 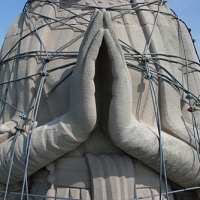 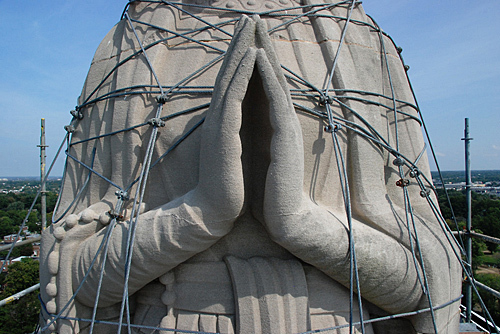 The big fear was that an aftershock would topple the statue of Mother Mary – not only breaking the iconic figure but endangering patrons at the medical center. 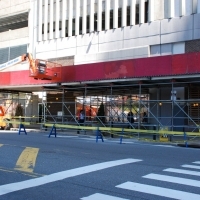 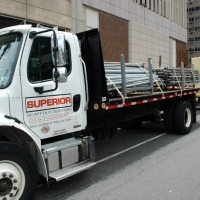 The call went out to Superior Scaffold’s emergency services unit. 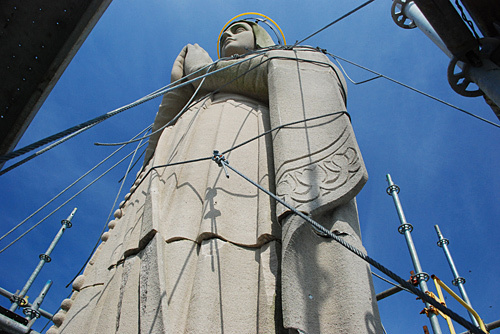 In less than 24 hours, Superior Scaffold had the scaffolding in place, and the Mother Mary statue secured to protect her from both aftershocks and the impending hurricane (Irene) that was due to come. 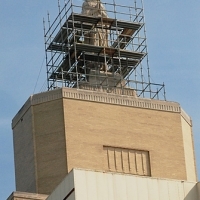 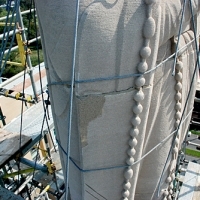 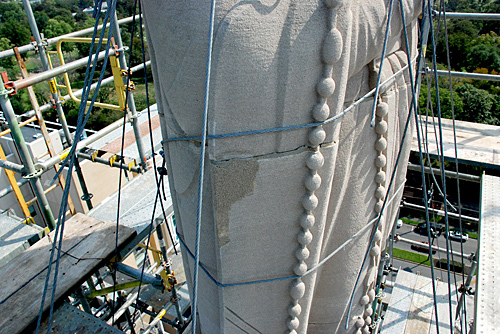 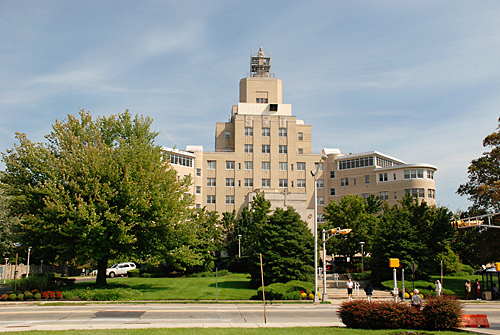 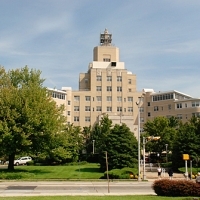 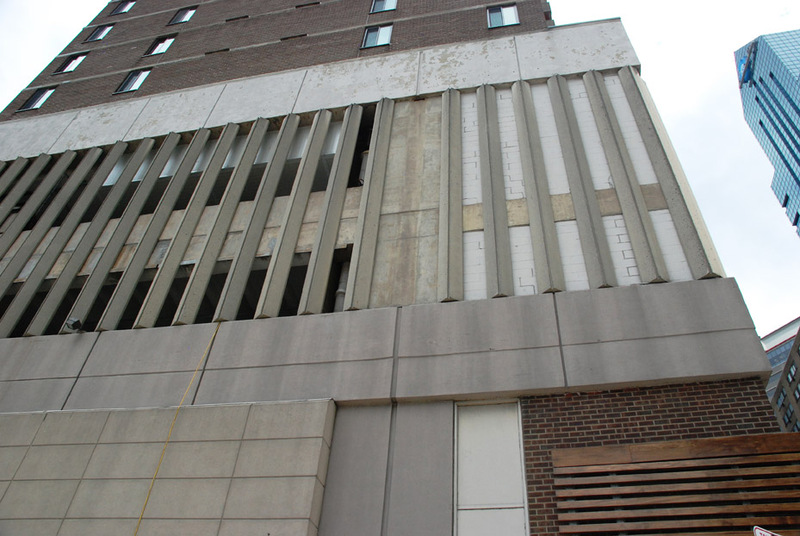 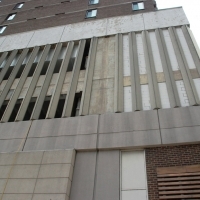 Hospital administrators could now rest safely, knowing that one call to Superior scaffold saved an icon and protected their patrons. 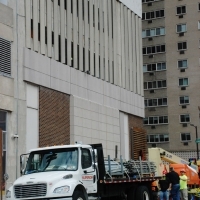 — Walt Wenner, Operations Director Our Lady of Lourdes Medical Center, Camden, NJ. 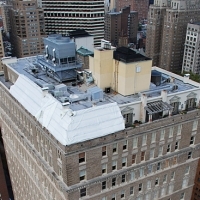 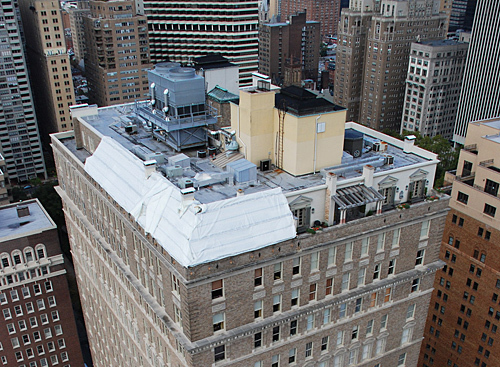 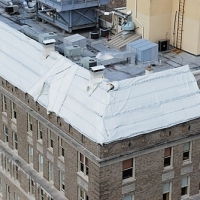 When the roof of the top balcony of the prestigious Barclay Hotel was leaking water into the unit directly beneath it – the call went out to Superior Scaffold’s emergency services crew. 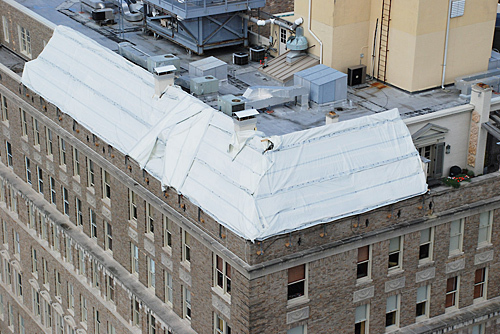 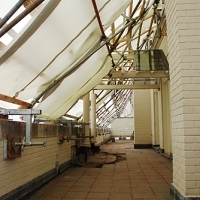 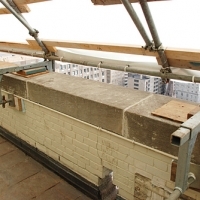 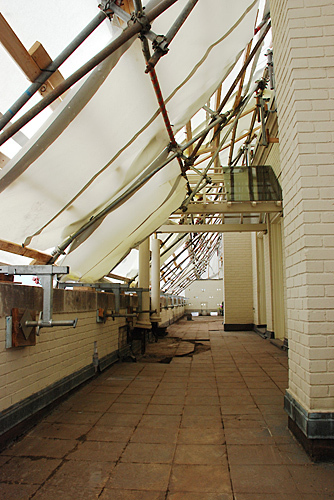 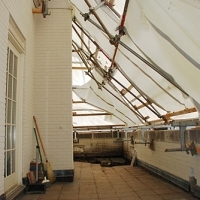 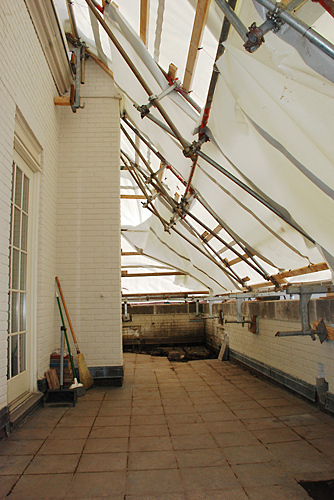 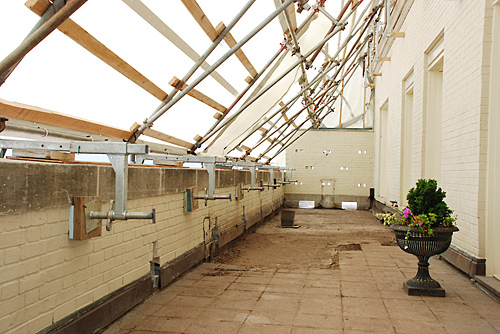 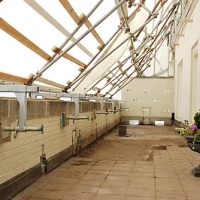 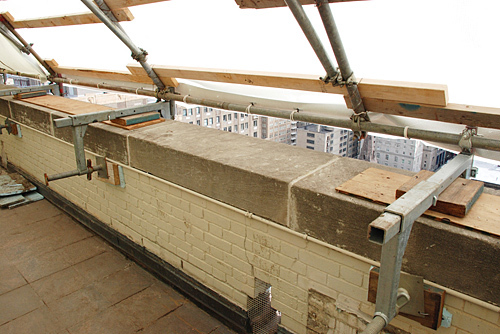 Superior engineers quickly assessed the situation and came up with a novel design to suspend a waterproof enclosure from the parapet. 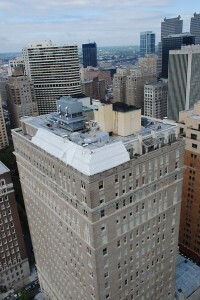 Keeping the residences of one of Philadelphia’s great landmarks was of paramount importance while installing this unit. 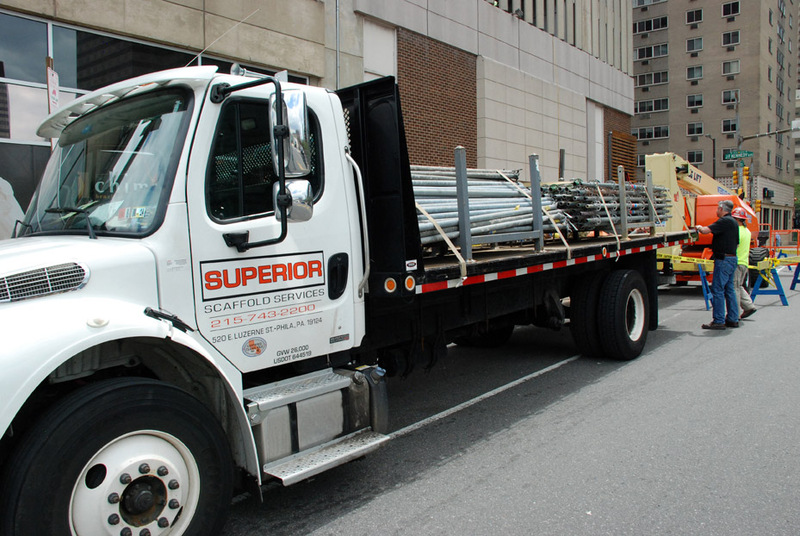 Both the landlord and condominium owners were thankful for Superior’s quick and careful response. 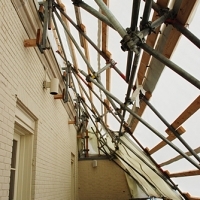 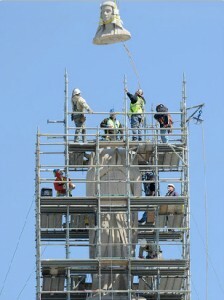 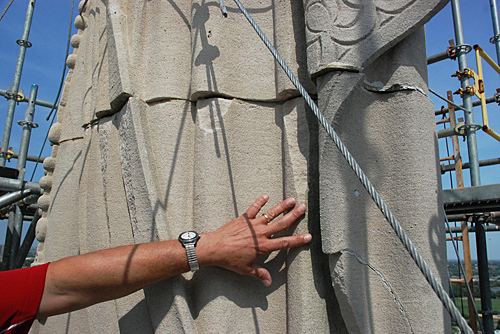 And within 24 hours they had the protection they needed in place to continue their repairs. 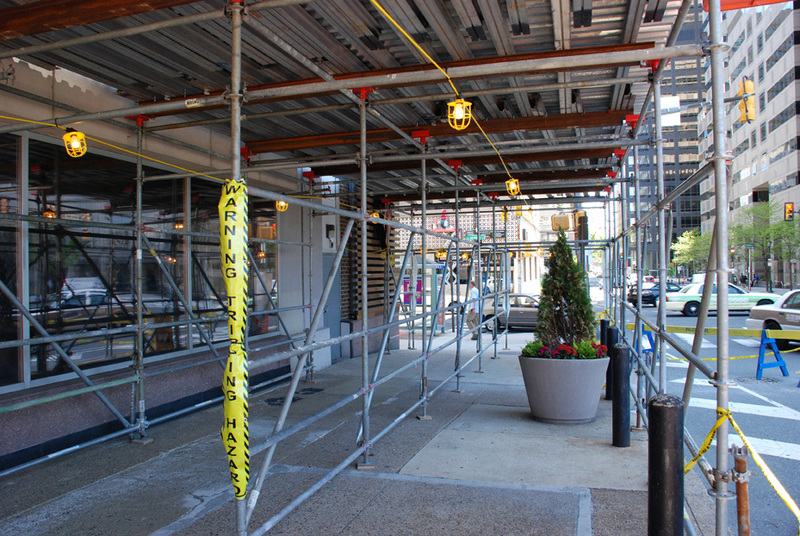 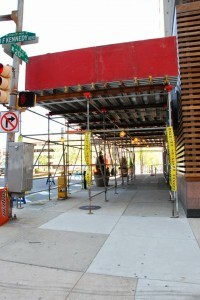 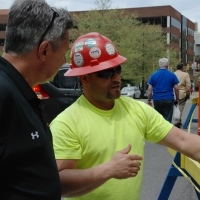 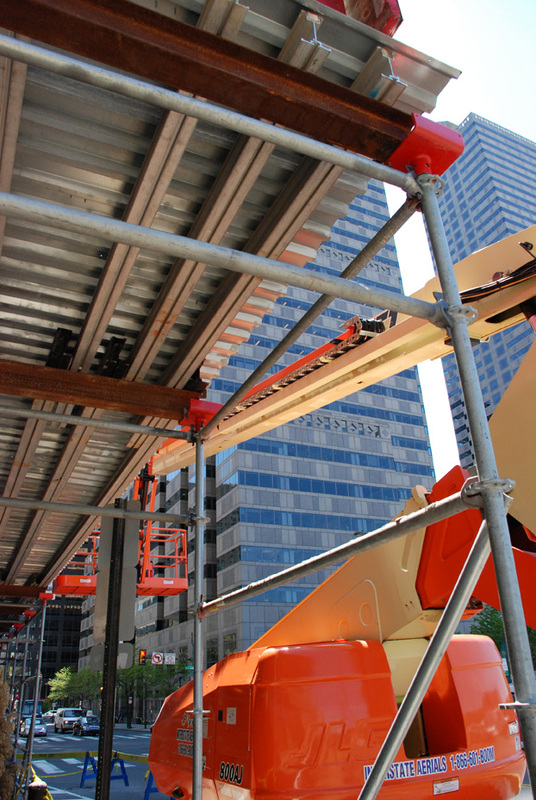 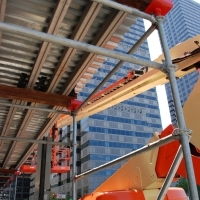 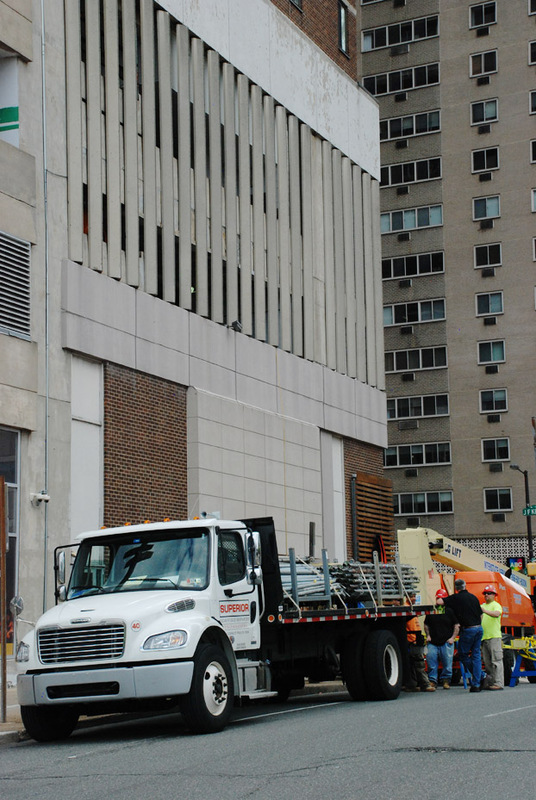 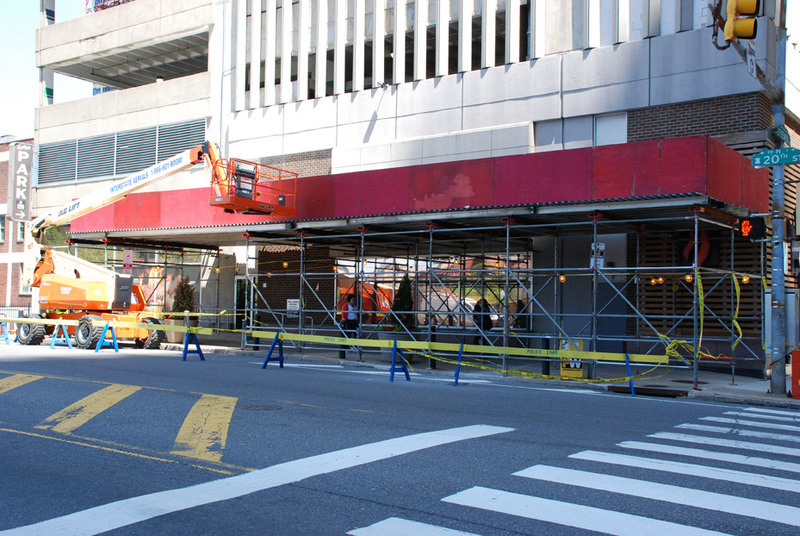 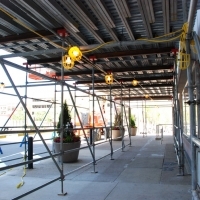 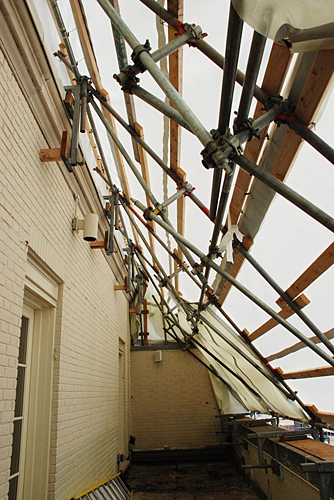 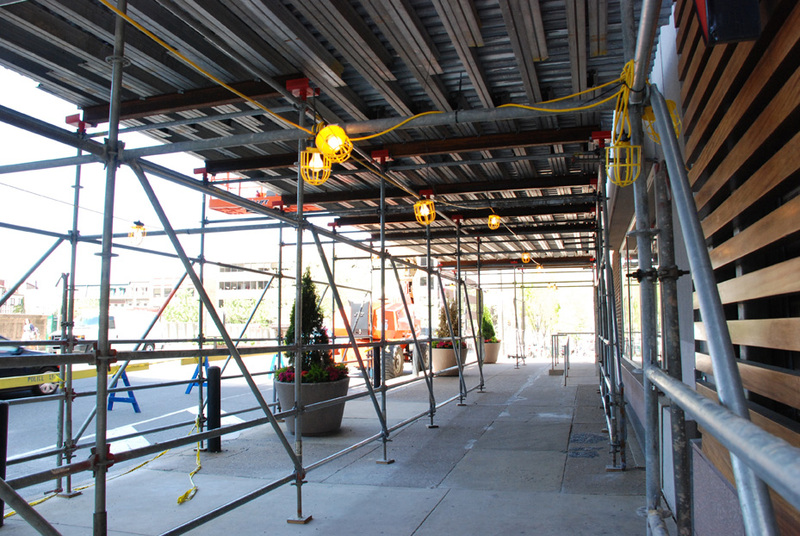 If you have an emergency where you need scaffold, sidewalk protection, canopy or scaffolding – call Superior Scaffold anytime at (215) 743-2200.